Please help Theresa and her Family as she battles stomach cancer. Blessed Mother, Lady of Lourdes and St Peregrine hear my prayer. In the name of the father. Pray that my strength and spirit will be strengthened. Bless all my family and friends. In the name of the father. Please, ask your divine son to console Aunt Sonia. Also, as him to send his spirit to strengthen and console Peggy,Debbie, Bubba, Christopher and Mary in mind, boday and especially spirit. I thank you for your answered prayers for Christine and ask your continued help and companionship for her as she awaits the decisions of her doctors. Thank you , blessed lady. being my mother, ready to help and comfort me always. Please, intercede with your son that I be forgiven my sin and live a life pleasing to Him. Please pray for my whole family,too many to name,but need to return to the church and honor God. Thank you God for everything. I love you and praise you always! Please accept my petitions for my son that he is able to get good grades in Mcat exams and apply to med schools and get in a good medical school to do medicine and become a medical doctor soon. That God blesses him with all that is needed to accept this notable miracle and an opportunity to give my testimony to everyone and glorify God. I pray for healing for my dad who has thyroid nodules and cervical degenerative disc disease. I pray for long good healthy life for my dad. Please, enlighten, strengthen, guide and protect him always. I pray, one day, I’ll understand and forgive(not sure if i’m mad or sad) my mom. I love my mom buy everytime I try to get close to her, it hurts me more.. like my oldest brother who obviously doesn’t like me to be around.. my mom and oldest brother are very close, they get along all the time.. i am not jealous. But i am hurt and depress because i know i am a loving, caring, responsible, understandable, generous daughter and sibling but i guess no matter what i do.. I can’t change people the way they treat me.. If they’re not family i can just move on and live life easily.. but i can’t just turn my back on them despite everything they did to me.. all the bad memories keep haunting me especially the situation is still the same.. 10-13years of struggling with depression, anxieties, sadness, hearthbroken, and etc.. I can clearly remember it’s been 13 years ago when my life turn upside down.. my hopes, dreams, beliefs, the way i look at the world/life before is so not me nowadays.. God, help me. Please. Amen. 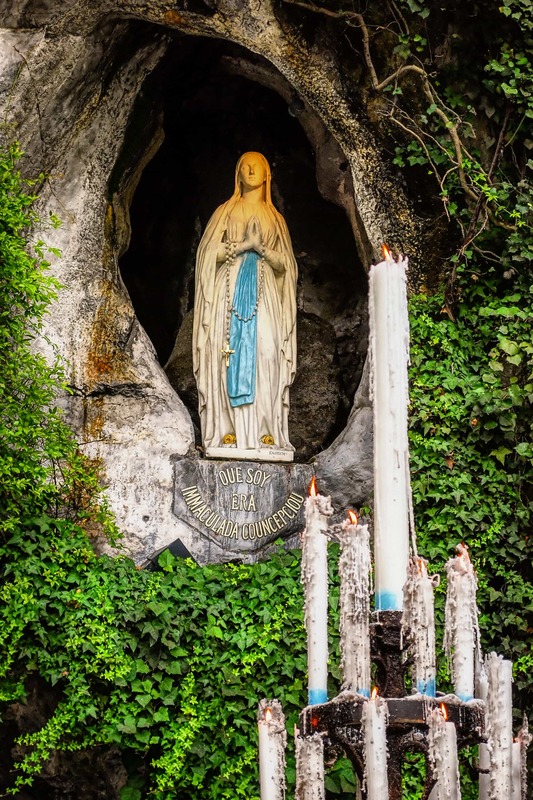 Our Lady Of Lourdes beg you to please hear my prayers. Please help and hear our pleas. Please bless our son who is celebrating his birthday tomorrow,Help us and hear our prayers. Our Lady please pray for the students who are suffering sickness now. We are having a concert on this coming Wednesday and we need all the choir members to perform for the name of thy son. Pray for us My Mother. Our Lady of Lourdes and Saint Bernadette I ask for your divine intervention in our current need of finding a buyer for our house. Thank you for your help and hearing our prayer. Please also help those who are hungry, homeless and alone. Be with them and keep them safe. Thank you Jesus. St. Lourdes, thank you praying for me, thank you Lord for hearing my prayers, thank you Lord for i have passed my subjects and hopefully graduate this April 2017. Please keep my family safe. My husband received a job offer! Mother of Lourdes. Please intercede for our intention. Pray for our family that are having a very difficult time with medical problems. Lord jesus I place my financial needs into your hands. I pray for your intercession for my children would be successfully with their exams. I pray for my mother that she would have long life and health. I pray for healing of my daughter. Pray that Our Lady of Lourdes will intercede on my behave through my intercession for myself, son and other members of my family and the sick especially for Adora. I pray for today´s meeting with a doctor. For all those who are sick or going through difficult times. May I see and be open and willing to new possibilities in my life.